Carve that granite and ride the wave! 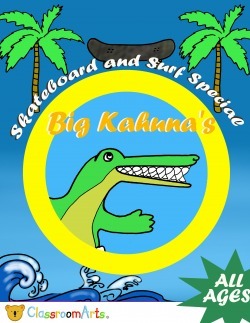 Big Kahuna and his friends are surfing and skateboarding at the Hawaii beach park. Hang ten and catch some big air with these wild illustrations. Fun for all ages, this coloring book is all about skateboarding and surfing. Surf's up! Hop in the car and drive baby, drive! 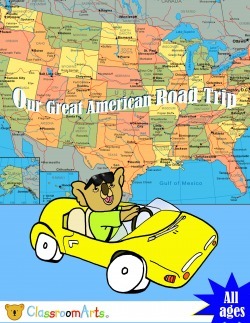 These fun games will make travel time more enjoyable for the whole family. Tic-Tac-Toe, Fun Trivia, Eye-Spy, and the new License Plate Battlers will give everybody a chance to play and win. Who's going to be the top winner in your family? 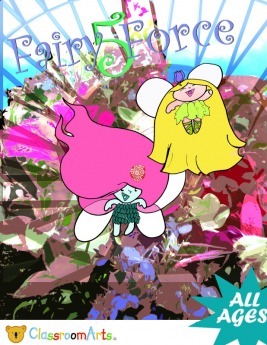 1-2-3-4-5 - The Fairy Force is flying high through the flower forests and the sky! Join the Fairys as they protect the environment and help mother earth. ZOOM throug the fields! SOAR over the flowers! Grab your crayons and get ready for an awesome adventure. This wonderful book is part of the "I CAN DRAW" series. After your adventure, you'll have a full page of step-by-step instructions for drawing your own fairy! Just for Fun! All Ages: Draw your own Storybooks! For the growing artist and writer in all of us, this book gives you nine story-page templates that you can use to draw your adventures! Print them out, copy them, and put them in whatever order you need so that you can tell your story the way you want to. Big illustration boxes and wide writing lines are perfect for little hands. What will your book be about? Just for Fun! 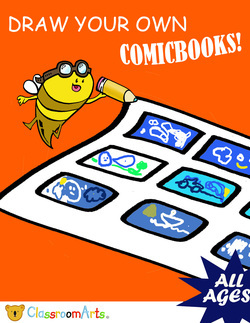 All Ages: Draw your own comicbooks! For the growing comic artist in all of us, this book gives you eight comic-page templates that you can use to draw your incredible comics! Perfect for storyboarding, concept layouts, and narration, these pages can be printed out, copied, and arranged so you can bring your comics to life!